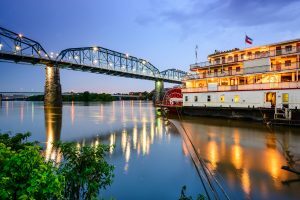 There are many great reasons for retirees to visit or relocate to the Chattanooga area, but one key to the quality of life here is the rich abundance of things for seniors to see and do in Chattanooga TN – many of the activities at a reduced price for seniors or free. 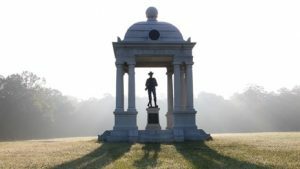 Here in Fort Oglethorpe, history buffs will love exploring the Chickamauga and Chattanooga National Military Park. One can imagine what it was like to be there in 1863 as 100,000 soldiers fought on this hallowed ground. An audio tour is available for those who need to drive due to mobility issues and can’t or don’t want to hike to the various points of interest. It’s like visiting Gettysburg but without the throngs of tourists. The monuments to those who fought inspire awe. Wayside plaques, markers, monuments, and exhibits along the tour route are partially accessible on paths that are relatively flat, grass or dirt covered areas. There are handicapped accessible restrooms at the Wilder Brigade Monument. The Sixth Cavalry Museum is on the site of the former Ft. Oglethorpe, home of the 6th Cavalry Regiment after about 1902 and during World War II, the Third Women’s Army Corps. The fort also served as a POW camp during World Wars I and II. The Museum covers it all with displays, memorabilia, and narratives. We’re about 15 minutes from Chattanooga, which offers a wealth of things to see and do. Tennessee Aquarium – There are two buildings packed with animal habitats and stunning displays of sea critters. Where else can you stand face-to-face with a shark. There’s also an IMAX 3D Theater associated with the Aquarium. Adult tickets for the combo are $37.95 each. Incline Railway – You’ll enjoy breathtaking views of the mountains and valley from the trolley-style cars as they ascend from St Elmo to Lookout Mountain. Point Park is just a few blocks from the top station. Tickets are $15 for adults and $7 for children under 12. Ruby Falls Cavern – You’ll be in awe of the rock formations and the 145-foot underground waterfall. The website claims it is America’s deepest commercial cave. Tickets are $20 for adults and $12 for children. Coolidge Park – This beautiful park is the ideal spot for people-watching or entertaining grandchildren. There’s an antique carousel with $1 rides and a free water park for kids of all ages to splash and play. It’s a popular spot for festivals and concerts. Walnut Street Bridge – This pedestrian bridge was erected in 1891 to connect downtown to the north shore. Tennessee’s oldest non-military highway bridge was restored and revitalized in 1993. There’s no charge to visit it. There are benches along the way for those who need to stop and rest while enjoying the view of the riverfront and the people enjoying their day. Tennessee Riverwalk – This 13-mile path parallels the Tennessee River from downtown to the Chickamauga Dam. There are various shaded spots along Amnicola Highway to stop and enjoy the scenery, plus markers with the history of Native American tribes of the area. It is also free for the public to enjoy. Bluff View Art District – This collection of restaurants, galleries and courtyards is set high atop stone cliffs. The artwork, sculptures and gardens give this space an upscale feel. Group tours are available. Hunter Museum – Browse some of the nation’s finest artwork, including paintings, works on paper, sculpture, photography, mixed media, furniture and contemporary studio glass. There is no charge to enjoy the 16 outdoor sculptures around the museum, but admission to the inside is $15 for adults and free for children 17 and under. Creative Discovery Museum – For those seeking an attraction to entertain grandchildren, you’ll hit paydirt here. Science comes alive in the multiple exhibits designed for children. Tickets are $14. Tennessee Valley Railroad Museum – Seniors and their families can enjoy train rides that offer an interactive, historical experience that harkens back to when everyone traveled by rail instead of cars or airplanes. Prices vary according to the selected train and whether there are special events. Senior discounts are available at select hotels, retail stores, restaurants, and grocery stores near these attractions. At Rosewood, we arrange for our residents to participate in group outings to local attractions. Being part of a group of peers living together in Chattanooga Assisted Living makes for a great way to experience these sights and sounds.